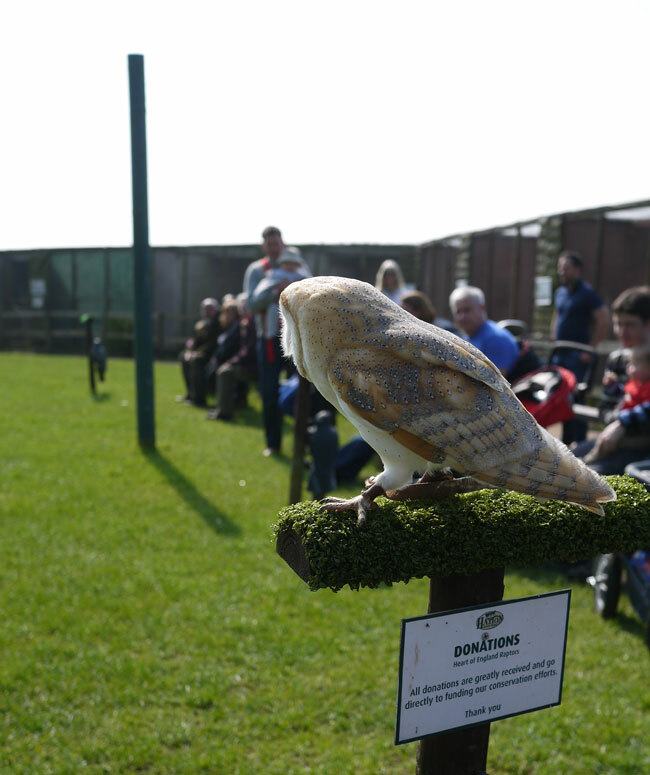 A few weeks ago we were invited to Hatton Country World for a day out. As the two smallest people in this family are quite obsessed with animals at the moment, this was super exciting. 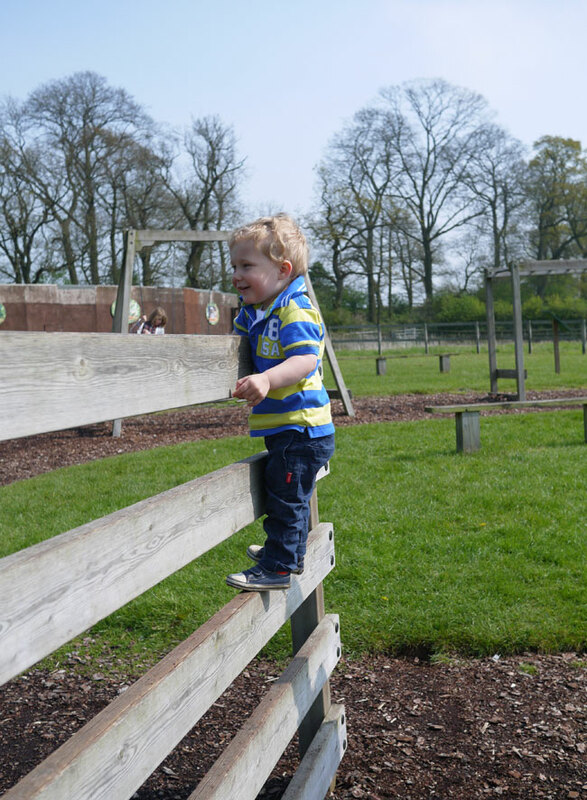 Hatton Country World is just outside Warwick, really easy to access from the motorway. It’s made up of Hatton Shopping Village which is a collection of unique little shops selling dreamy homewares and Hatton Adventure World which is family farm for under 12s. 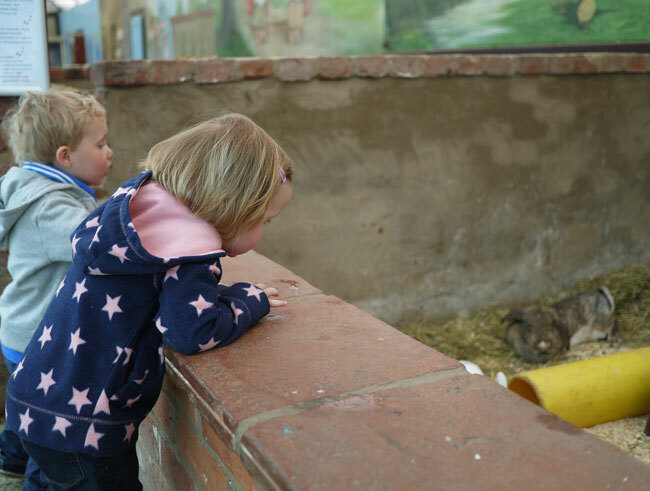 We arrived as the park opened and got stuck straight in, meeting the bunnies.. 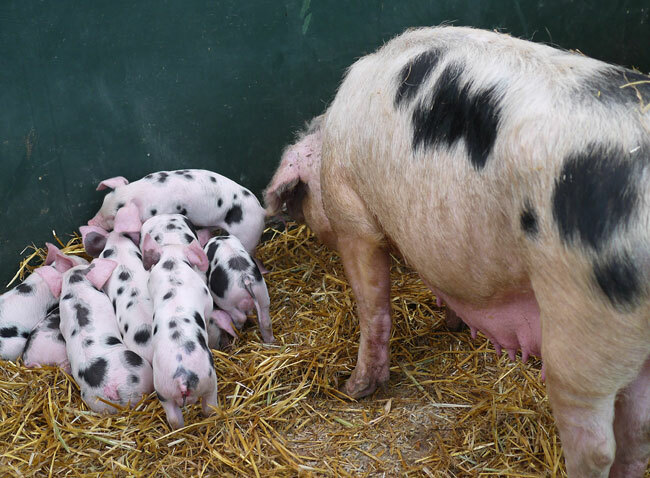 The pigs and new baby piglets..
We bought some of the little pots of animal feed and H set about giving her new pals breakfast. As a distraction from trying to explain why we couldn’t take one of the goats home with us, we moved on to Guinea Pig Village. 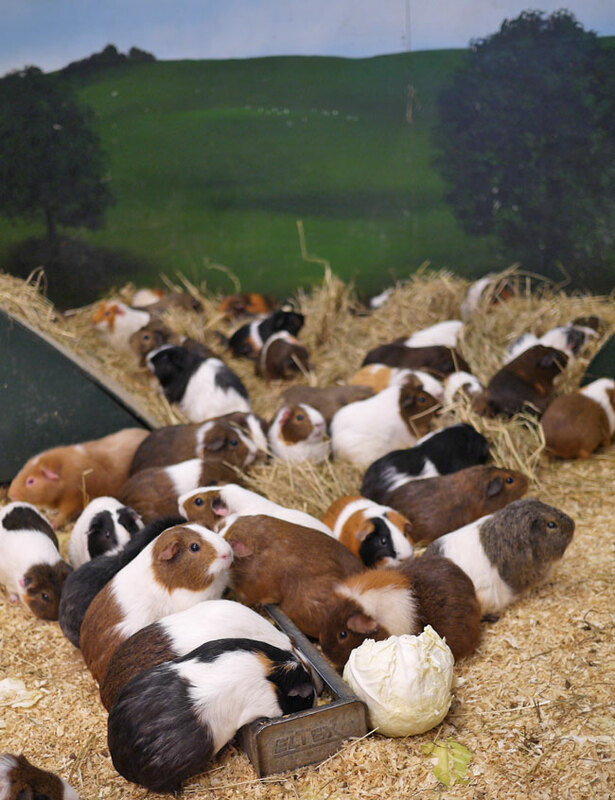 A room full of guinea pigs, wandering around in their own little world. You can lean in and say hello up close. 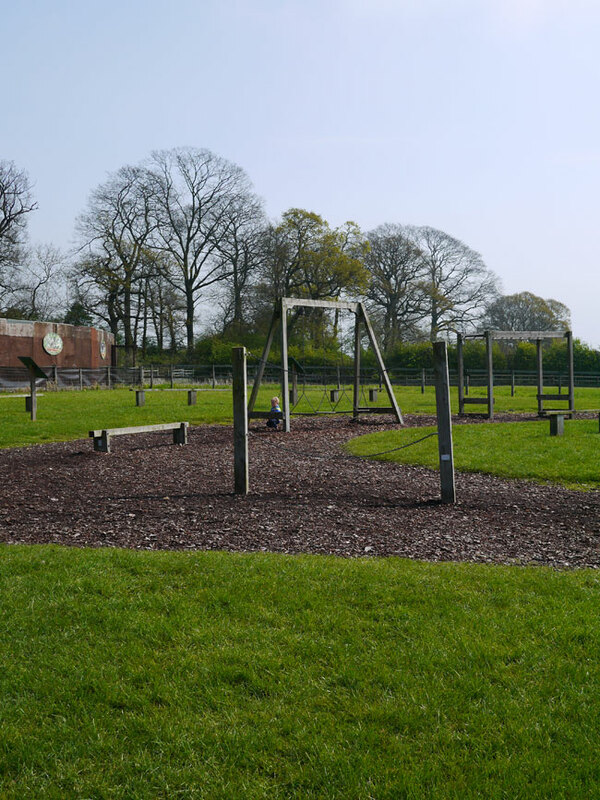 The park was beginning to get much busier now (it was a bank holiday Monday) but it still didn’t feel crowded at all. There’s plenty of room everywhere and space to walk around freely without it feeling busy. 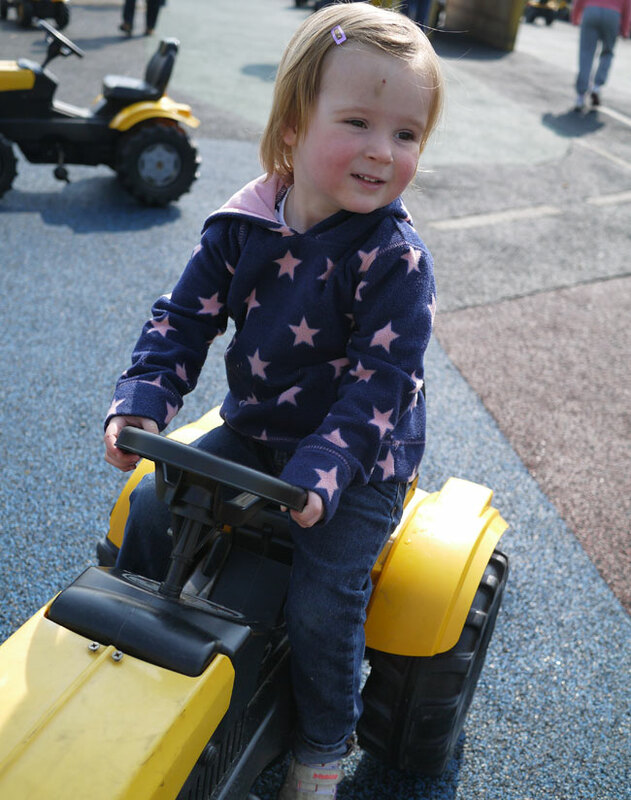 Outside, we had a go on the ride on tractors at the JCB track. G&H were a little bit too young to peddle themselves just yet, we ended up doing a lot of pushing around. 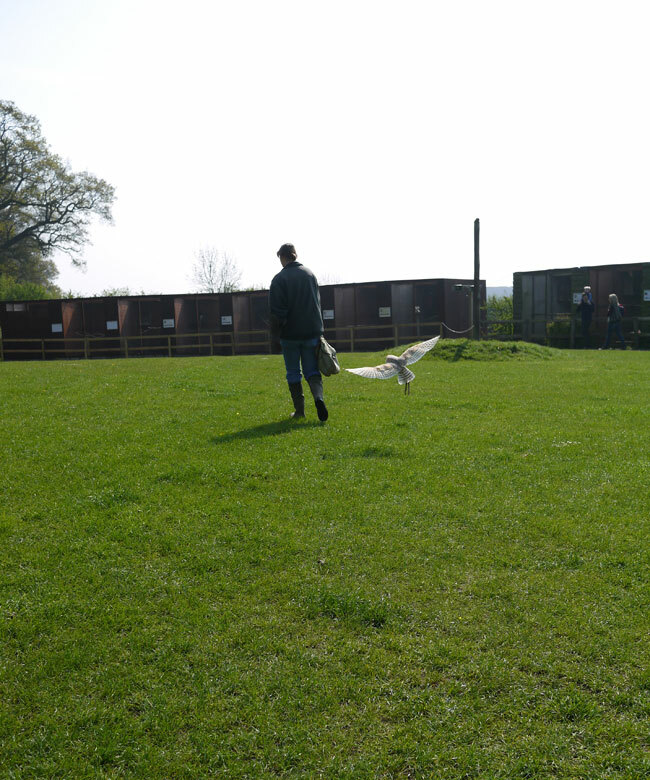 Not that any competitive adult racing around the track took place..
We wandered around past the track and G studied the big pigs. 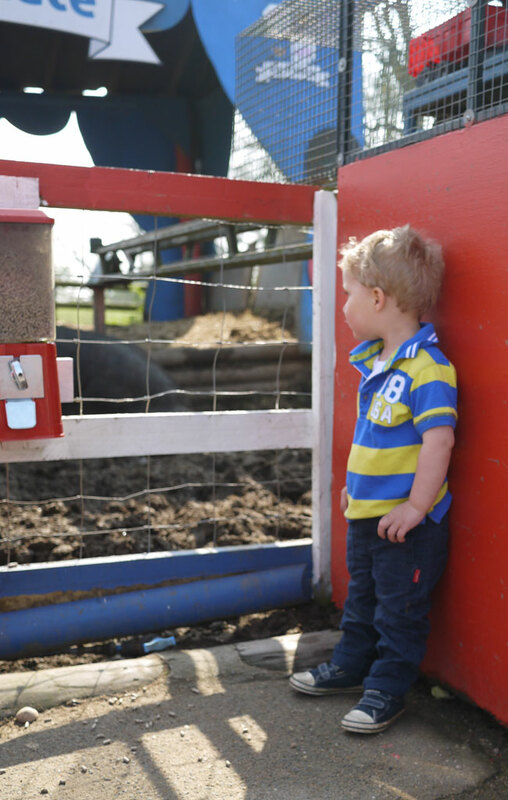 He loved the little machine that let the him wind the handle and send food in for the pigs. 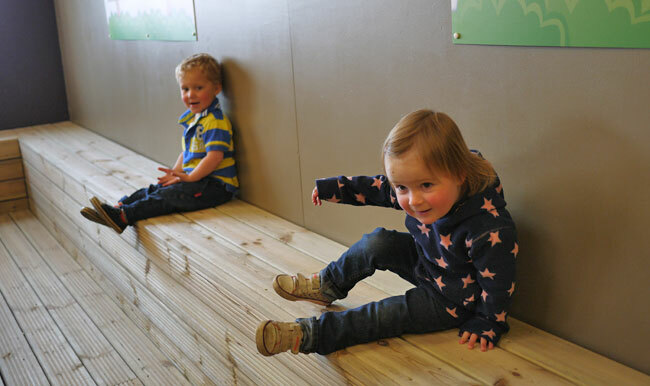 The little touches like that make Hatton Adventure World really special. Next we met the owls. We sat and enjoyed watching them fly and return. We practised saying “twit twoooooo” a lot and we were all totally enthralled by watching them up close and personal. We stopped around the park for some play and climbing practise. 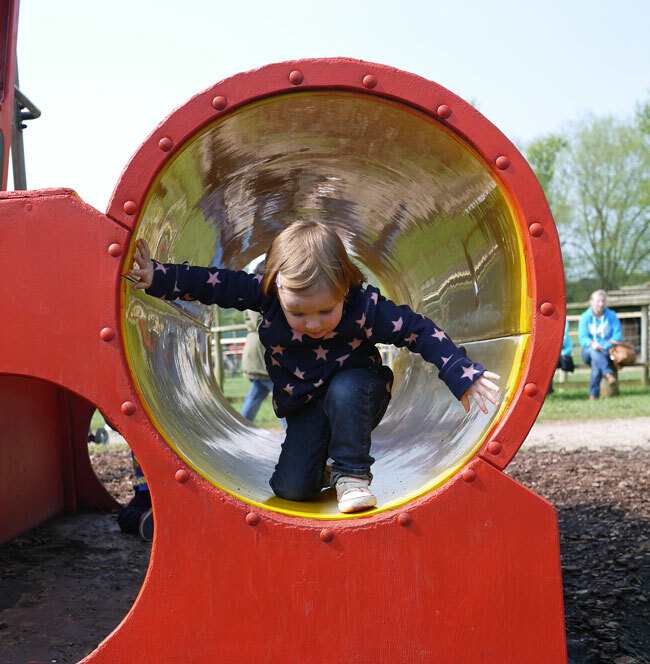 There are so many different outside areas, something for all different ages, abilities and interests. 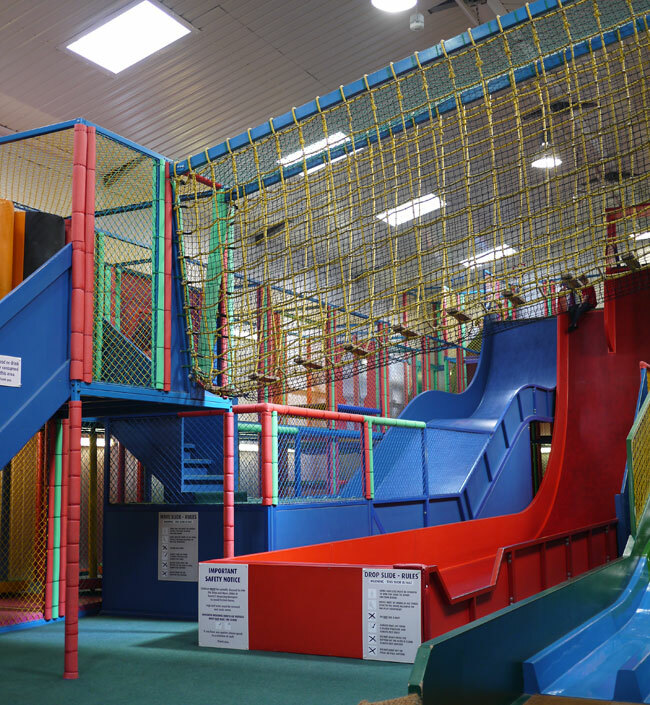 Heaps of trampolines, climbing areas, rides, games. The list goes on. We had trouble dragging G away from the assault course. 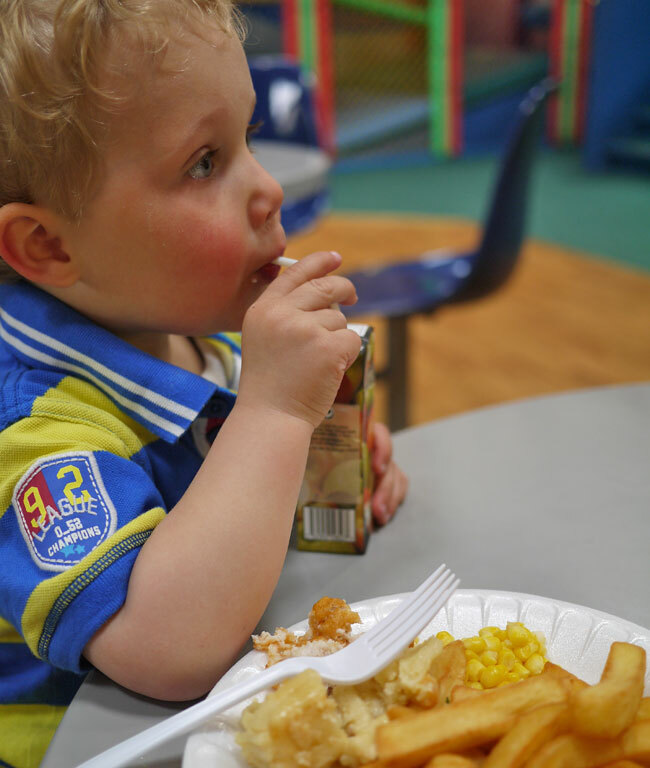 We made our way inside to the soft play centre. 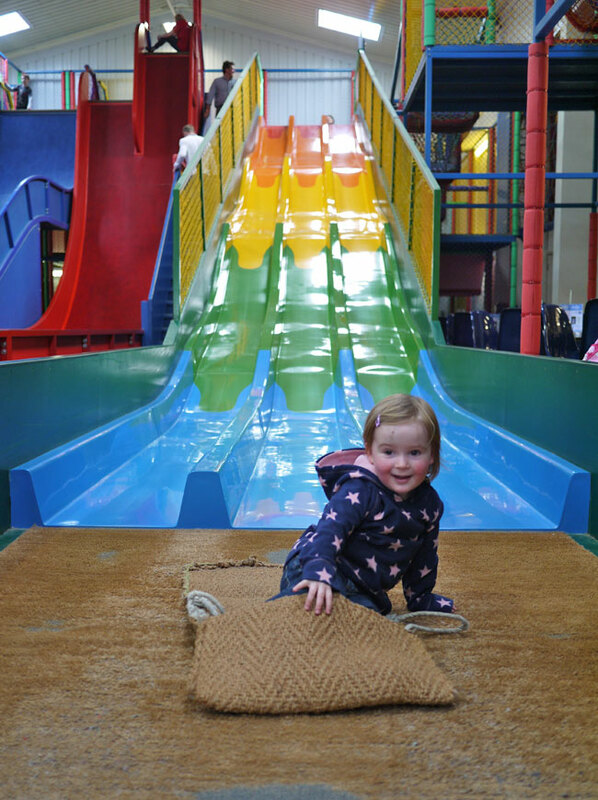 There’s huge drop slides for older children and a brilliant selection of soft play for all ages. 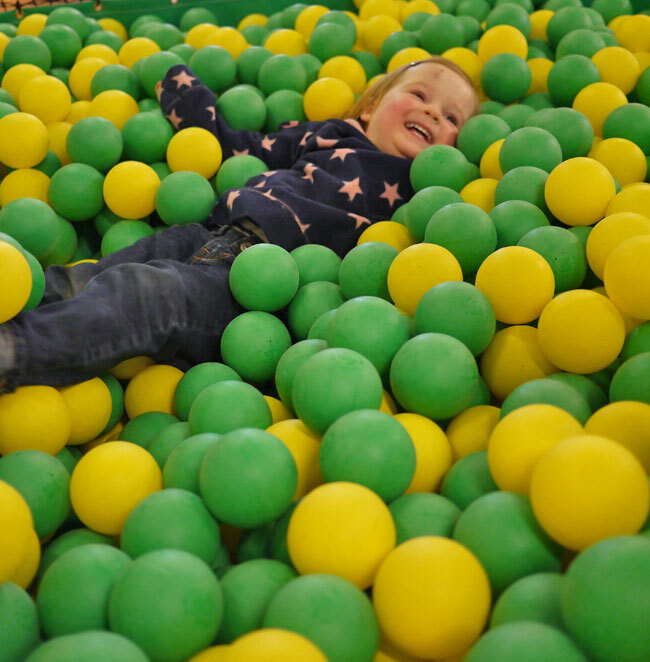 There’s a fantastic sensory area for under 2s and a suspended soft play section for brave people (including me until I realised that I was 3 meters up and there was only one way down – oops!). 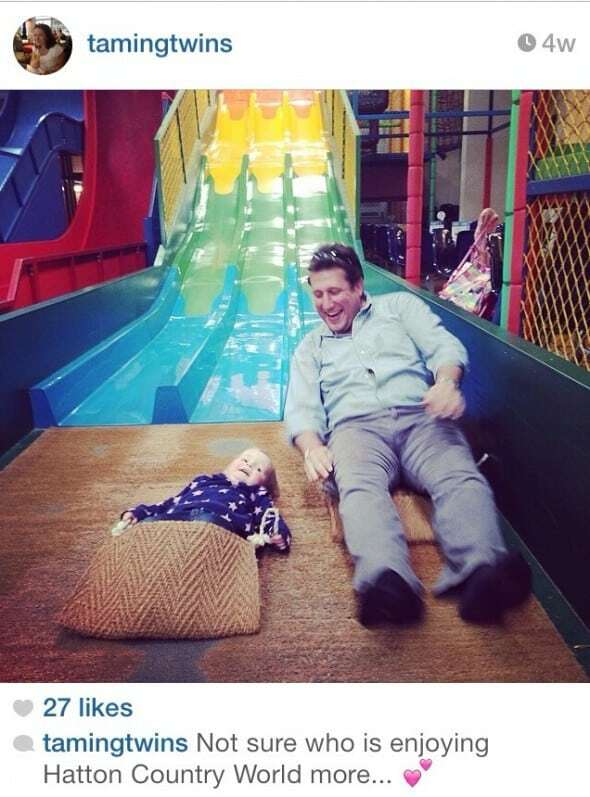 I loved this Instagram snap of some serious slide action.. 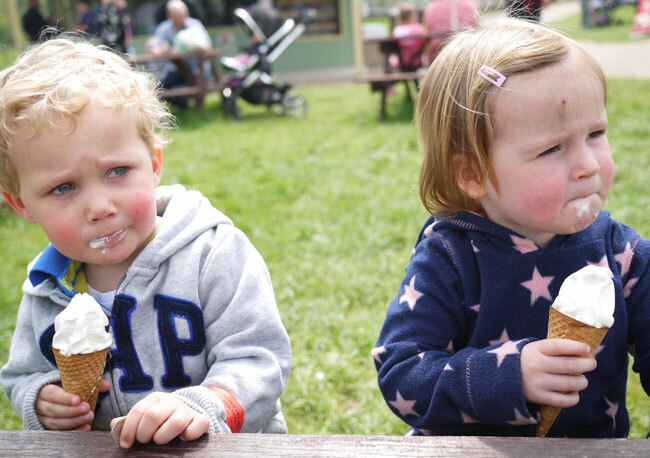 There was just time for ice-creams before home..
A couple of things really make Hatton stand out as a day trip destination. 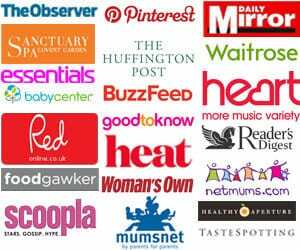 The first is the staff, without exception every member of staff we spoke to was knowledgeable and super friendly. They stopped to say hello and chat without being approached. It’s really noticable how well trained they must be. Secondly, the little details for the children. 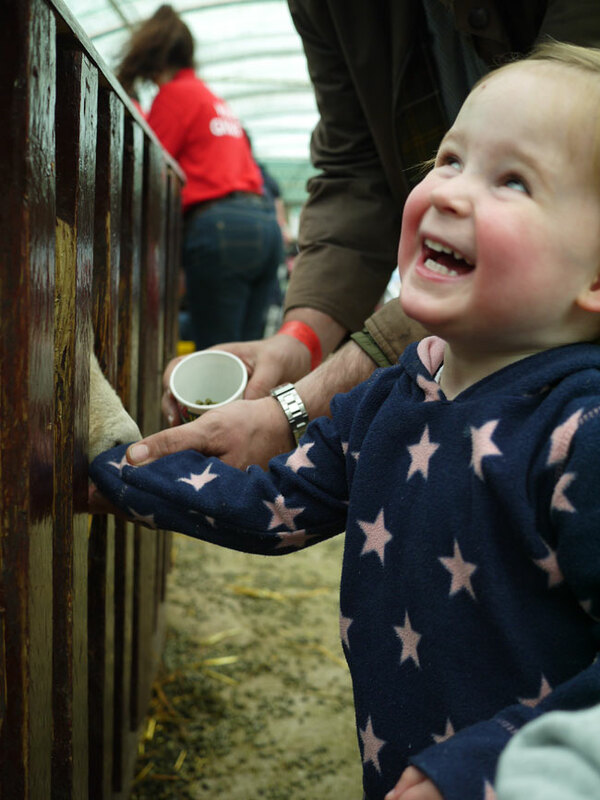 The walls to the animal pens are the perfect height for seeing everything, everywhere is safe and without anywhere for toddlers to run too far off, the interaction with the animals is pitched at just the right level. 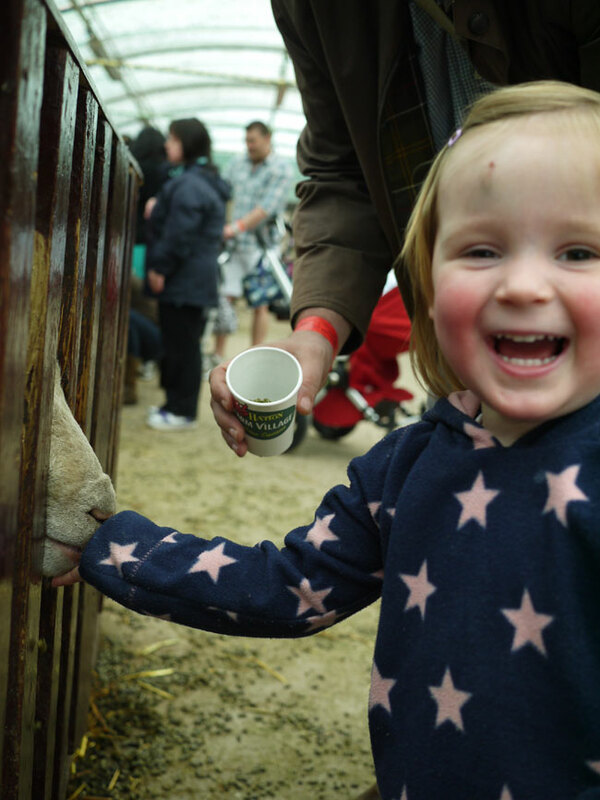 We were so impressed with Hatton Country World. 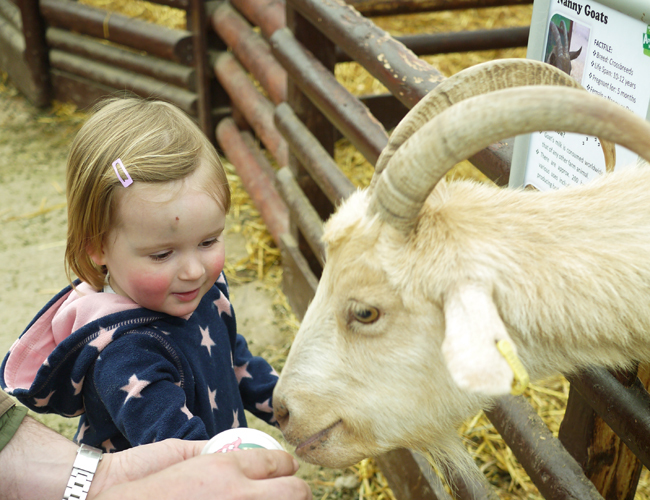 The farm park isn’t a cheap day out at about £40 for a family of 4, but there is so much to do, you could happily fill a full day. Go early and allow time to really make the most of your visit. Making lots of animal noises is compulsory! 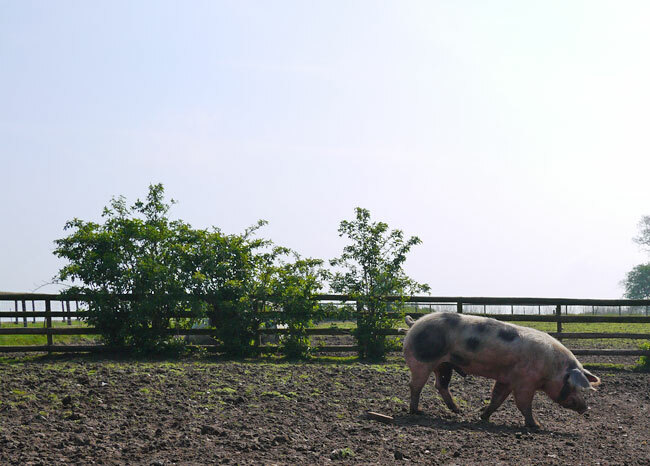 * We were invited as guests of Hatton Country World but all views and opinions are honest. We visited here last easter. I found the prices to be very high! But it does offer a lot of fun! They had a great easter bunny hunt on last year which the littles absolutely loved! !